Tropical Deluxe Luxury Resort Luxury Hotels Rentals, Deluxe Condo Rentals, Suites and Apartment Rentals Seasonal and Out of Season Accommodations THE BEST DELUXE CONDO RENTAL & LUXURY HOTEL PRICES IN TOWN!! We offer the best PRICES in Luxury Hotel Suites in a Deluxe Condo Resort Tropical Suite Accommodations and Apartment Rentals Isla ColÃ³n, Bocas del Toro, Panama. Both Moderate Deluxe Accommodations and Affordable Luxury Hotel Suites. Bocas Condo Hotel ... is truly a Tropical Vacation Home. Couple Retreats Specials Welcome To Bocas! Enjoy real comfort and hotel luxury resort living in our brand new modern gated and secure building amidst the charm of Bocas Town. 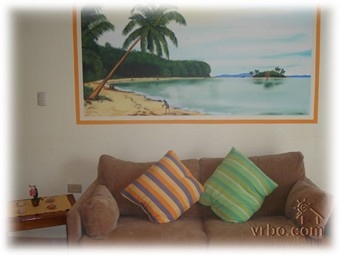 Close to and just steps away from Bocas Town, restaurants, water taxis, the ocean with sandy beaches, and the airport. Close the door and settle into the tranquility of the island. Daily, weekly, monthly and annual hotel rental plans with discounts are available. Rentals by owners who live and love Bocas. And they want your experience in Bocas to be the best! The Bocas Condos Luxury Hotel Resort is located close to Bocas Del Toro Town. 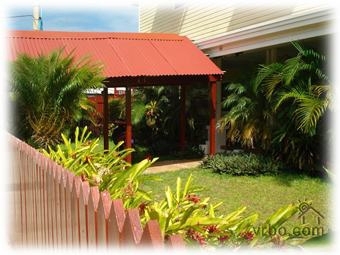 Deluxe accommodations are within walking distance to the heart of historic town on the principal island of Isla Colon. With an airport, restaurants, clubs and a variety of shops and stores nearby, we serve as the stepping stone to all activities on the archipelago. Be sure to see some details and links to them below: Deep sea diving, scuba diving, snorkeling, surfing, fishing, sailing, swimming, sunbathing, hiking, mountain hiking, volcanoes, and exploring help make this a perfect âï¿½ï¿½Panama Tropical Vacation.âï¿½ï¿½ Bocas Luxury Hotel has beautifully appointed private rooms and bath with countless amenities make the Deluxe Condos Hotel Resort a most desired travel destination. Newly constructed to US quality standards in 2007, the stunning tropic architecture and lush tropic surroundings let you know you are surely in a Paradise. There is a broad range of activities to be enjoyed in Bocas del Toro, including catamaran cruises, a visit to Dolphin Bay or Bird Island, snorkeling and scuba, or just a quiet day at the beach. 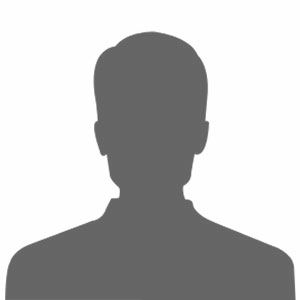 We will gladly assist you in making contacts and reservations so your stay is most enjoyable and relaxing. Be sure to ask for your discount coupons for participating local merchants. See detailed information below and links. Business Center Every hotel room has an automatic WIFI connection. 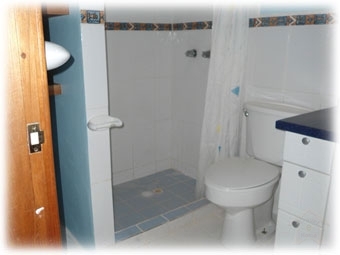 You can readily access your E-mail and your Web sites within the comfort of your own private room. Leave your stress behind and immerse yourself in the unparalleled relaxation at our Luxury Bocas Hotel and Deluxe Condos in the heart of Bocas Town, Bocas del Toro, Panama. Some of our deluxe hotel suites have Water Views. These water view luxury hotel suites and deluxe apartments look out over the BahÃ­a Almirante, Almirante Bay which borders the Caribbean Sea and connects to the Atlantic Ocean. Some ocean views are possible from our Ocean View Hotel Suites and Luxury Condos. Swimming and sunbathe on one of the beautiful beaches of the surrounding islands. Red Frog and Zapatillas are two good options and they too are a beach lover's dream. It also offers travelers good deep sea diving, scuba diving, snorkeling, swimming, deep-sea fishing, boating, kayaking, and long sandy deserted beaches. The archipelago of Bocas del Toro in Panama is situated on the northwestern coast of Panama in and around the Laguna of Chiriqui. Laguna de ChiriquÃ­ (ChiriquÃ­ Lagoon), is adjacent to the mainland. Our Hotel Vacation Rentals in Bocas del Toro offers the perfect combination of Caribbean Sea charm, ocean view tropical nature and history with cultural traditions. Due to its variety of aquatic species, coral reefs, mangroves, tropical forest, beaches with crystal clear water and undisturbed jungles it helps create the main attractions of snorkeling, diving, scuba diving, hiking and bird watching into a truly unforgettable adventure. Bocas del Toro is a province of Panama. The capital is the city of Bocas del Toro on Isla Colon (Colon Island). The main townâï¿½ï¿½s elected name is Bocas del Toro or "Bocas Town" and is located on Colon Island, the largest island of the archipelago. In Bocas Town you will find tropical vacation homes and cottages that are colorful wooden in structure and some historic relics like a canon, an anchor, and an old fire truck. At night you can eat out on one of the many restaurants serving international or local food and dance to Reggae. During the day you can tour one of the nearby islands, go watch the dolphins play in Dolphin Bay, go swimming and sunbathing on the beautiful beaches of the surrounding islands. Red Frog and Zapatillas are two good options and they are a beach lover's dream offering travelers good deep sea diving, scuba diving, snorkeling, swimming; deep sea fishing, boating, kayaking, snorkeling and long sandy deserted beaches. Or take a river boat into the jungle to an authentic Ngobe Bugle Indian village and go snorkeling or scuba dive. Panama vacations and traveling to Bocas can either be as simple as taking a 40 minute flight from Panama City or as adventurous as going over land by bus and water taxi. Either way it is a destination unlike any other to be found in Panama. 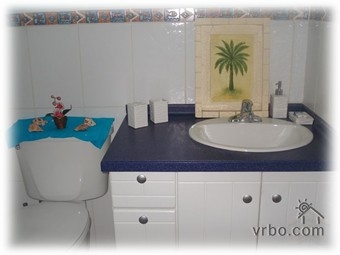 Hotel Rentals, Deluxe Accommodations Luxury Condos for Deep Sea Diving and Scuba Diving The Dive site reefs in Bocas Del Toro Panama have some the best preserved hard and soft coral in the world. The waters are inhabited by a wonderful variety of tropical reef creatures including nurse sharks, sting rays and many species of crab and lobster. Diving conditions are excellent year round, especially for training, with the best times to visit being March, April, May then September and October. During these months sea conditions are flatter allowing access to our more remote dive sites. Be sure and see: Bocas Water Sports info and linked Web site below. Diving Offshore: When the sea is flat enough during the months of March & April and September & October, a series of additional dive sites are accessible from diving schools and tours see links n resources below. These dive sites offer much deeper water, strong currents, caves & swim throughs and larger species of marine life. The Caribbean offers its unlimited coral reefs, and incredible scenes of underwater life. A true explosion of colors and shapes that amaze even the most experienced and seasoned diver. The Bocas del Toro is one of these places with unique beauty both above and beneath the surface. There are two ways to access this gorgeous Atlantic Coast: One is via the Pan American Road from Panama City (approximately 400 km), crossing the mountains and then taking another paved road to Chiriqui Grande (another 90kms) where you can take a water taxi or rented boat to Isla Colon. The second is taking a ferry from Chiriqui Grande, but this takes about 4 hours. Another possibility of getting there is by airplane, directly from Panama City to Isla Colon, which takes about an hour by flights departing daily. Bocas del Toro offers many incredible diving sites like "Coral Islands," "CristÃ³bal Light" on CristÃ³bal Island and other interesting sites. When the water is calm, it is possible to visit a shipwreck and a series of underwater caves behind Zapatilla Keys, as well as "Wild Cane Key," a rocky formation with a vertical drop behind Bastimentos Island. Other attractions in the Bocas del Toro region include fishing, watching the dolphins at Bahia de Los Delfines, bird watching at Swan's Cay, surfing at Playa Bluff, visiting the indigenous communities at Salt Creek or the cloud forest at Chiriqui Grande, exploring the banana farms at Changuinola and much more. Pristine jungles, secluded beaches and local culture Explore verdant jungles teeming with wildlife, white sand beaches cradling Caribbean waters and picturesque small towns steeped in character on this Panama Adventure, awarded âï¿½ï¿½Worldâï¿½ï¿½s 25 Best New Tripsâï¿½ï¿½ by National Geographic Adventure magazine in 2007. Hike along jungle trails through the misty cloud forest surrounding Baru Volcano. Mountain bike the rolling hills of the Pacific slope and explore a local artisan market. Listen for the call of the Resplendent quetzal, tackle the rapids of the Chiriqui River and spend the night on one of the finest working coffee farms in the country.